School was not a high point in my life. I was, so my teachers always told me, smart, but I didn’t apply myself. Not in the classroom, not in after school activities, certainly not in the homework I was supposed to but never quite get to. It wasn’t that I was lazy, or even that I didn’t want to do it. Mainly it was that I didn’t know how. Studying was a complete enigma to me. I’d read the material, think I understood it, and then do poorly on the tests. I did pay attention in class—sort of—but I was painfully shy and so unless I was called on, didn’t participate. My shyness (and for those who know me now and cannot connect Janet and shy in the same sentence—I have overcompensated) also prevented me from joining in after school activities. For starters, I didn’t get that one went after what one wanted; I thought you had to be invited. And, as a shy kid, I was rarely invited anywhere. I can’t remember exactly what turned the tide for me. I do know that I was long out of college and working on my second or third career before I got any of it. But somewhere along the line, someone convinced me to look back at an experience or span of time, take stock of what happened, and think about how I could have made it all a better experience. Doing that helped me to move forward in getting where I wanted to go. So, as we head toward the new year, you may want to think back on the past twelve months and consider what you might have done. But don’t get hooked on coulda’, shoulda’, woulda’s. If it’s really done, it’s done. Don’t obsess over what you can’t change. That’s my job. Yours is to think broadly about the work you are paid to do and to think about ways to be more productive, effective and efficient. 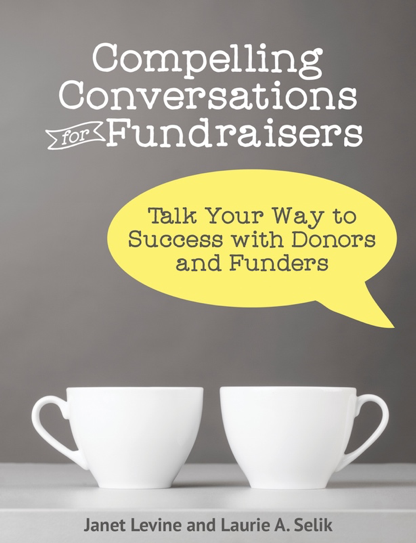 Since I write mostly about fundraising, let’s focus on that. If you have a development plan, pull it out—how well did you follow it? If you don’t have a plan, maybe this is the time to begin creating one. Look seriously and critically at what you’ve been doing and ask yourself: Am I spending my time in the right places? Was all your time this year spent on one event? Or only on writing grants that, by the way, are getting harder and harder to get? Have you incorporated social networking into your annual giving program? Do you even have an annual giving program? Are you approaching individuals—the group that makes up the largest piece of that charitable giving pie? As you evaluate what you’ve done, start thinking about how you will improve your performance in the coming year. What are the steps you need to take? How do you need to involve your staff, your colleagues, your Board? Do a reality check—do you have the resources to accomplish what you want to? Be honest here. Too often we wring our hands in despair bemoaning our lacks without thinking about what we do have and how we can maximize those assets. With all this data, write down where you want to be next year at this time. Think about how much you need to raise. How much of that are you sure you can from tried and true methods? What are the new things you need to incorporate (and new can include additional hours spent as well as new methods)? And now—and here it is the real key to success—what is the first step you have to take to put yourself on the right road? In detail, spell out what you are going to do in January. And make it a habit that each time you accomplish one of those steps, you write out what the next step will be. Then give yourself a deadline. Make yourself a promise: When you slip (and you will) or miss a deadline (and you will), don’t fall into the trap of thinking that you are (a) bad and (b) blew it. Instead, simply set another step or deadline and try as hard as you can to keep to it. And while you are taking stock, don’t forget to consider all the good things you accomplished. Give yourself (and your colleagues, staff and Board members) a pat on the back for a job well done. Most likely, you deserve it.